We've been coming to Currarong for years and this is by far the best place we've stayed at. The house had everything we needed and more. It's beautifully appointed, wonderfully presented, neat and tidy. The house has a great lay-out and is very spacious. 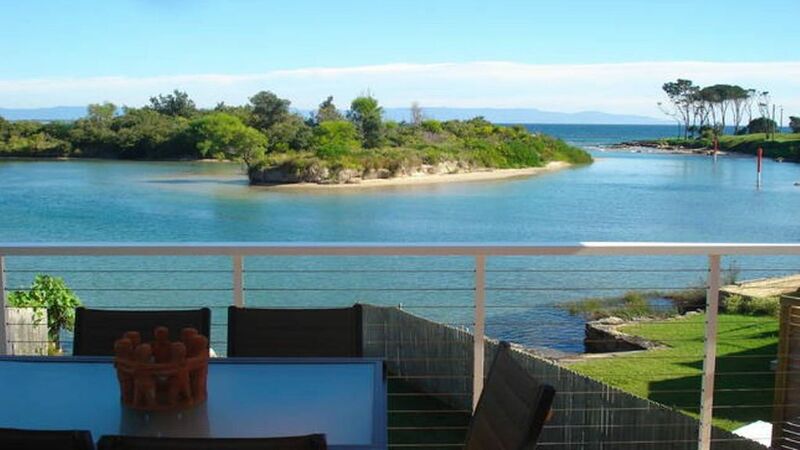 It's an amazing location - right on the water, close to the beaches and a short stroll to the shop and cafe. It was great to have a swim and cool off in the lagoon out the back and go paddle-boarding at high tide. The kids enjoyed fishing there too. Shore Thing exceeded our expectations - it's even better than portrayed in the photos. A very relaxing holiday was had by all of us. Jenny couldn't have been more helpful. The locals are really friendly, and it's such a quaint town. There are great bush walks, we spotted a pod of dolphins out at sea and the kids loved visiting the old ship wreck. We'll definitely come back, and from now on we won't stay anywhere else!